Western Star Trucks kicked off its year-long 50th-anniversary celebration at its annual dealer meeting. 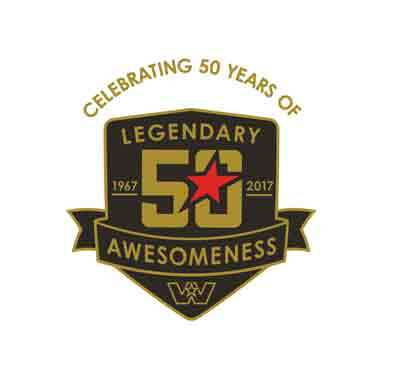 Western Star will mark its 50th anniversary of manufacturing legendarily awesome trucks with a year’s worth of special events, truck show appearances and an enhanced website. The first Western Star trucks were made in 1967 in Kelowna, British Columbia, to serve the mining, lumber and oil industries. Those jobs are hard on a truck so Western Star made its trucks even tougher, hand building each model to ensure they met the highest standards, and adding features to make the driver more comfortable, safer and productive. Now owned by Daimler Trucks North America and manufactured in Portland, Ore., and Cleveland, N.C., Western Star continues to set the global standard for vocational and work trucks. It also entered the on-highway market in 2015 with the 5700XE, its first aerodynamic truck.